The Festival Brochure is available now in venues across Dublin city. You can also download a PDF version here. 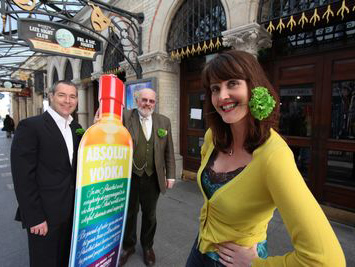 The 2009 Programme was officially launched last night in the Gaiety Theatre as ABSOLUT were welcomed onboard as title sponsors. The Festival Brochure will soon be available throughout Dublin and on our website. Above: (l-r) TV star Anna Nolan, Senator David Norris & star of the ‘Short Shorts’ Fraulein von Klinkerhoffen at the Festival Launch. 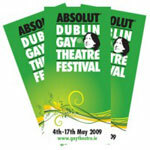 Dublin, Wednesday, April 1st 2009: Actress Rachel Devlyn, star of Fraulein Von Klinkerhoffen, one of 40 shows in this year’s ABSOLUT Dublin Gay Theatre Festival, launches the sixth annual festival. The festival runs from May 4th to 17th in city centre venues. 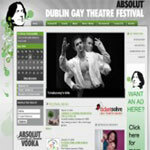 For details and online-booking, visit: www.gaytheatre.ie. Picture Jason Clarke. No Repro Fee. 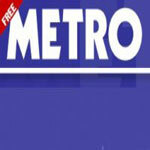 See Metro, pg 14, April 1 2009 for more details of this limited offer. Email content: Answer the question: When was the Dublin Gay Theatre Festival inaugurated? Also, include your name, address and a number where you can be contacted between 1pm and 3pm today. One entry per person, over 18s only. Our new-look website was launched today. Check out the latest Festival news, reviews and previews or click on a slide to find out more about our shows. A big thank you to our web designers, Birdie, for all of their hard work. We hope that you enjoy the new website! 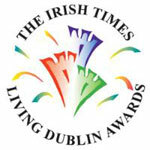 The Festival received a ‘Highly Commended’ award in the Culture & Tourism category of the 2008 Irish Times Living Dublin Awards held in the Westin Hotel. The awards seek to recognise organisations who work to improve the quality of life in Dublin city.